These eateries are prenup ready! (SPOT.ph) People have been stepping up their prenuptial photoshoot game lately. Engaged couples drive out of town or fly out of the country, with designer garb and esteemed photographers in tow. But another thing that's pulling out all the stops is the restaurant industry. It's no longer about laying out chairs and tables. 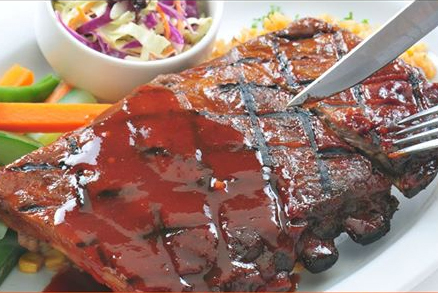 Good food has to be complemented by a great look. 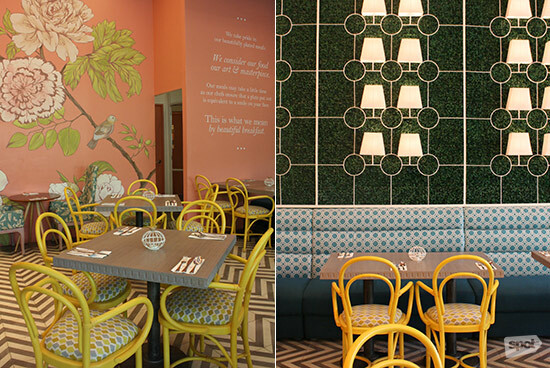 With all this emphasis applied to restaurant interior design, we thought, why not maximize that effort? We sniffed around some of the city's most photogenic restaurants and we rounded up some that'll allow you and your significant other to immortalize your love. Snap away! You don't have to go out of town. This hideaway is a beautiful mix of modern and cozy. The venue is just as comely as this restaurant's picture-perfect plates and the white brick wall is a flexible backdrop for any photoshoot (it's often used for the cool food shots you always see on their Instagram). 12/10 lets the sun stream through their windows, lending the perfect natural lighting to any photograph. The Rules: Shoots have to be scheduled before the restaurant opens at 3 p.m. Price is upon request (rate is for four hours). 12/10 is at 7635 Guijo Street, San Antonio Village, Makati City. Read more about 12/10. Have a whimsical prenuptial shoot at this Harry Potter-themed café. The tables and chairs outside are ideal if you want an effortless outdoorsy vibe. Or, nail that chill look in their Common Room-styled restaurant. Don't forget to take a shot from the indoor balcony. From above, the tables look like a piercing owl stare. This place will definitely add magic to your photos. The Rules: Owner Nicole Guanio prefers shooting to be done between 10 a.m. and 12:30 p.m., though special arrangements can be made for those who want to start earlier. Extending hours past the closing time is not allowed. Packages start at P3,000, P2,000 of which is consumable. It's inclusive of use of the entire space and props. 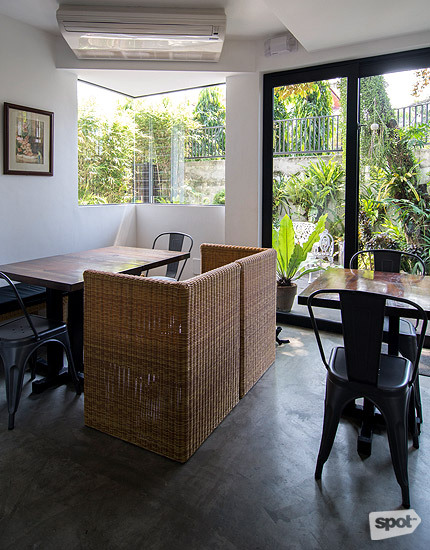 The Nook is at 164 Maginhawa Street, Teachers Village, Quezon City. Read more about The Nook. Have a breakfast-themed photoshoot to symbolize the start of your life together. Whether you're looking for something sophisticated and serene (The Fort Strip), bright and sunny (Eastwood), or delicate and lovely (Century City Mall), you can count on Early Bird to be a gorgeous venue for engagement photos that are undeniably sweet. They also have a branch in Nuvali. The Rules: Shoots have to be done between 2 p.m. and 5 p.m. (the store's downtime). The fee is P5,000 for three hours. 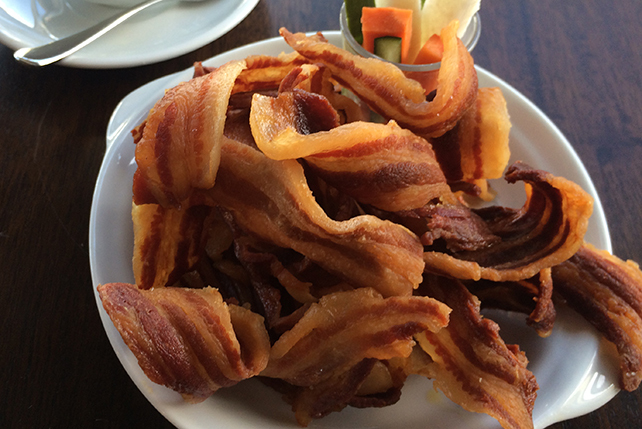 Click here for a list of Early Bird Breakfast Club branches. Read more about Early Bird. If you're going for something hip and quirky, look no further than Westwood. The combination of white walls, gray floors, and wood details make for a charming set, but it's their mural of Los Angeles that will really add personality to your photos. 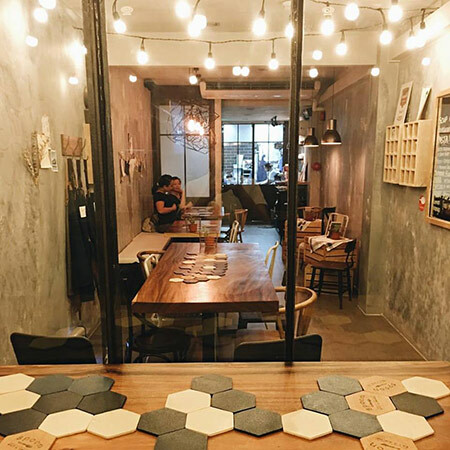 This Quezon City café is equally sweet and edgy. Make sure to have a couple shot with their picture-perfect ice cream, too! The Rules: Westwood bases their rates on the date, time, headcount, and duration of stay. If you pick a peak hour, you might have to rent the whole space and pay a consumable rate. Their package, however, comes with food, so you can make it a prenup party! 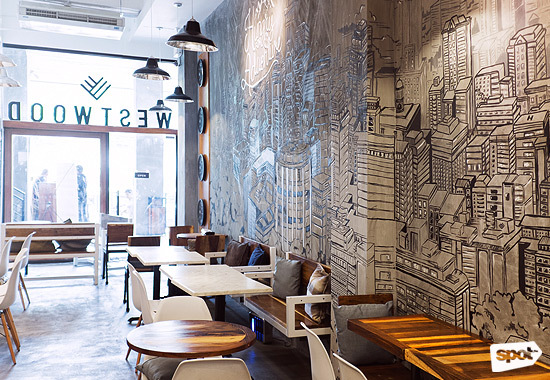 Westwood is at 80 Maginhawa Street, Teachers Village, Quezon City. Read more about Westwood. Who needs to drive out of town when you can just cruise to Makati to get that breathtaking country feel? Nikko's Baking Studio has an outdoor porch that will help you effortlessly nail that rustic theme. Their wall, made up of wooden planks, feels as if it's designed for photoshoots, while the patio furniture keeps everything natural and light-hearted. 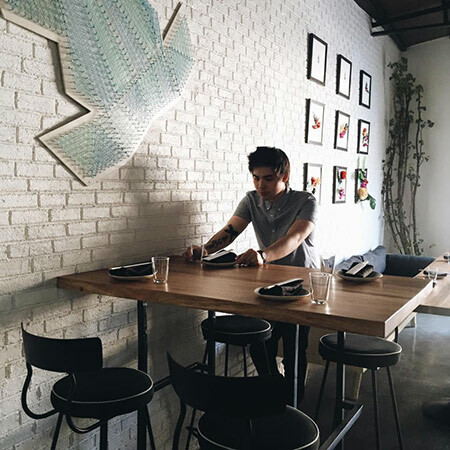 The Rules: Call Nikko's Baking Studio in advance so Chef Nikko Buendia can spruce up the space even more. Fees depend on the couple's requirements from the restaurant. Nikko's Baking Studio is at 59-A Paseo de Roxas Street, Makati City. Read more about Nikko's Baking Studio. Minimalist and modern are what you'll find at Spoon. 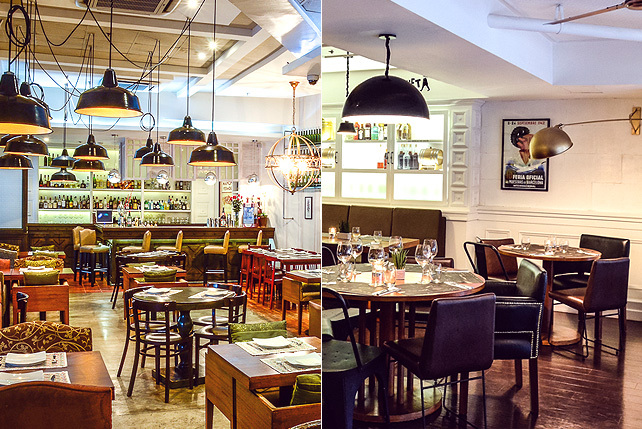 This restaurant may be small, but it delivers the effortless chic quality that is so sought after nowadays. Spoon is the best backdrop for an intimate but luxurious pictorial featuring couples who crave something simple but different. The Rules: The best time to shoot at Spoon is from morning to midday so you can maximize the natural light. 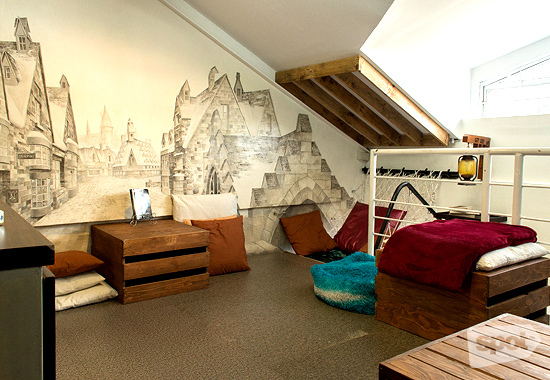 It costs a non-consumable P2,500 for use of the space and air-conditioning. The shoot has to wrap up by 4 p.m.
Spoon eat + drink is at 319 Aguirre Avenue, BF Homes, Parañaque City. Be a modern Cinderella at this shoe-themed restaurant. 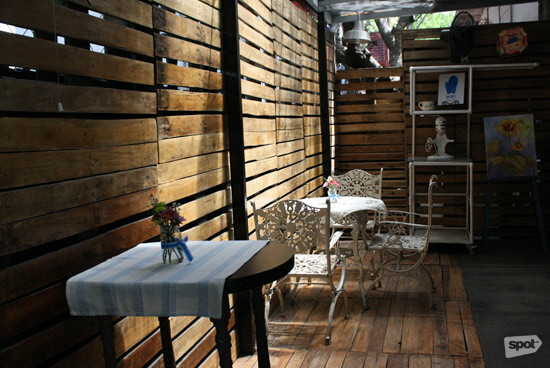 Industriya Marikina has so many quirky nooks and crannies for you to conduct your engagement photoshoot. 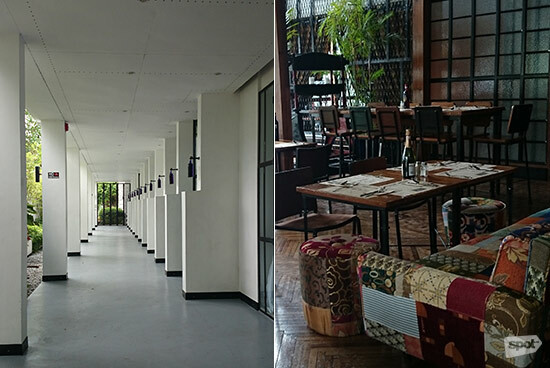 This vast Marikina haunt used to be an old shoe factory and it carries a rather cool vintage charm. Strike elegant poses in front of the window trellis or play around on the al fresco deck. They even have a large event space that you can probably utilize, if no one's using it. The Rules: Weekday afternoons are preferred. Shooting at Industriya Marikina will set you back P4,000 for three hours and payment three days before serves as your confirmation. Industriya Marikina is at 23 M.A. Roxas Street, Calumpang, Marikina City. Read more about Industriya Marikina. 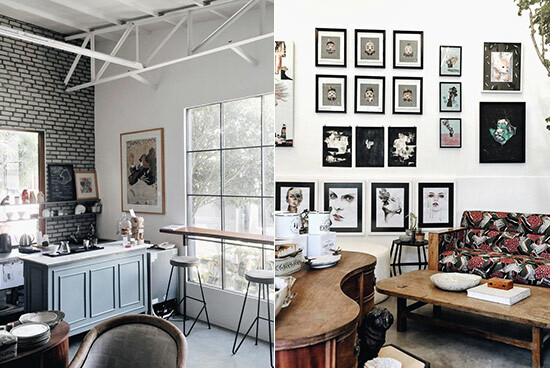 Cop a trip to Europe through their tastefully styled interiors. Match your lovely moments with every beautiful corner in the restaurant. It's hard not to be trigger-happy with their pristine white walls, intimate couches, and classy bar setup. By the way, their sister restaurant, Las Flores, in Bonifacio Global City, is equally photogenic. If you want to channel some eclectic sophistication through a spectacular mishmash of elements, you might have a better chance in this tapas favorite. The Rules: Touch base with Rambla to settle on the theme, scheduling, and fees. Rambla is at Joya Tower, Joya Drive, Rockwell, Makati City. Read more about Rambla. This hidden gem is absolutely jaw-dropping. You might want to bring more than one outfit because nearly every angle is begging to be photographed. Restock is designed to be Instagram-friendliest, which gives it a secondary purpose that benefits betrothed couples looking for something modern and casual yet oh-so-chic. Go for meta and make sure to snap a photo in front of their wall of framed pictures. The Rules: You have to contact Restock ahead to check if there'll be any events or reservations that day. Depending on the schedule, a consumable fee may apply. Restock is at 7635 Guijo Street, San Antonio Village, Makati City. Sometimes, all couples need is that natural, at-home vibe. 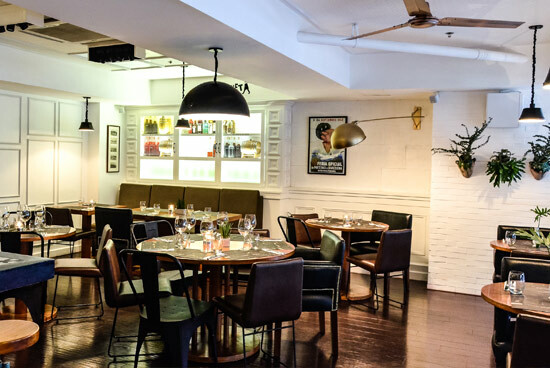 Terrace 45, a restaurant converted from an old house, is a terrific spot for such cases. It certainly is vast enough to be versatile for your engagement requirements, complete with semi-private nooks that might work better for camera-shy couples. We're digging the veranda. There's nothing like a breezy location to capture your precious moments. The Rules: Price is upon request, depending on the areas you'll utilize. Terrace 45 is at 45 Dr. Lazcano Street corner Scout Santiago Street, Quezon City. Read more about Terrace 45. Photos from SPOT.ph archives, courtesy of Adilasia, and from the official Facebook pages of 12/10, Restock, and Spoon eat + drink.